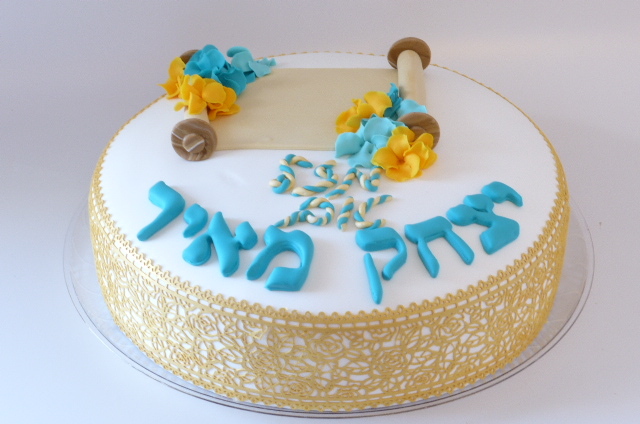 Bar Mitzva Cake with Mini sefer torah. Mazal Tov message with boys name. Combines elegance and occasion to match the color scheme and event.